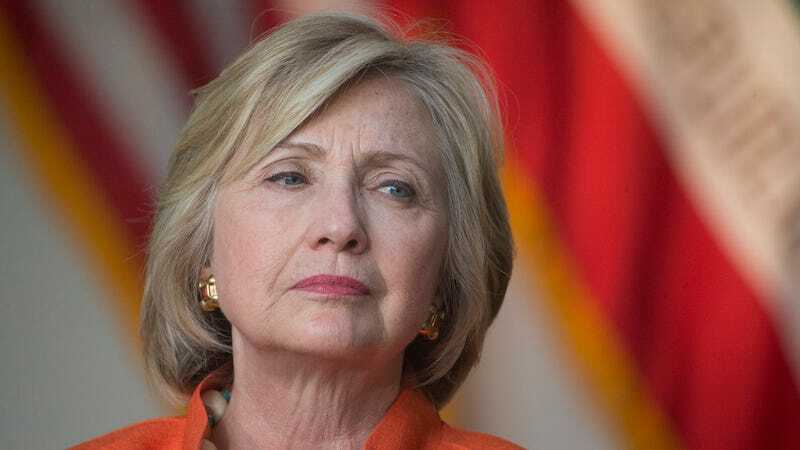 Hillary Clinton certified that she had officially turned all of her work-related e-mails during her tenure as secretary of state into the State Department, according to a CNN report. The move follows a freedom of information lawsuit from the conservative organization Judicial Watch about the work status of former State Department deputy chief of staff Huma Abedin. Following the lawsuit, U.S. District Court Judge Emmet Sullivan instructed Clinton, Abedin and Cheryl Mills, former State Department chief of staff to hand over all government documents. After Judicial Watch informed the court of this development, Sullivan issued a ruling directing the government “to request that Mrs. Hillary Clinton, Ms. Huma Abedin, and Ms. Cheryl Mills i) not delete any federal documents, electronic or otherwise, in their possession or control, and ii) provide appropriate assurances to the Government that the above-named individuals will not delete any such documents.” The court also asked for a status report by this coming Wednesday as well as assurances from all three that they will not delete any federal documents they have. However, the certification may not be sufficient, since Clinton wasn’t the one to actually sort through her emails — her lawyers did it for her. While Sullivan’s order sought personal confirmation from all three former officials that they’d turned over all related records as well as details of any use Mills and Abedin made of Clinton’s email server, neither of the two aides sent a personal declaration to the court. Instead, lawyers for each of the staffers submitted letters providing some details on the situation. Meanwhile, Clinton’s e-mails have been the center of controversy after it was discovered that she used a private server to conduct often classified government business instead of the standard State Department system. “We are abiding by the Court’s order,” said Mills’ attorney Beth Wilkinson.